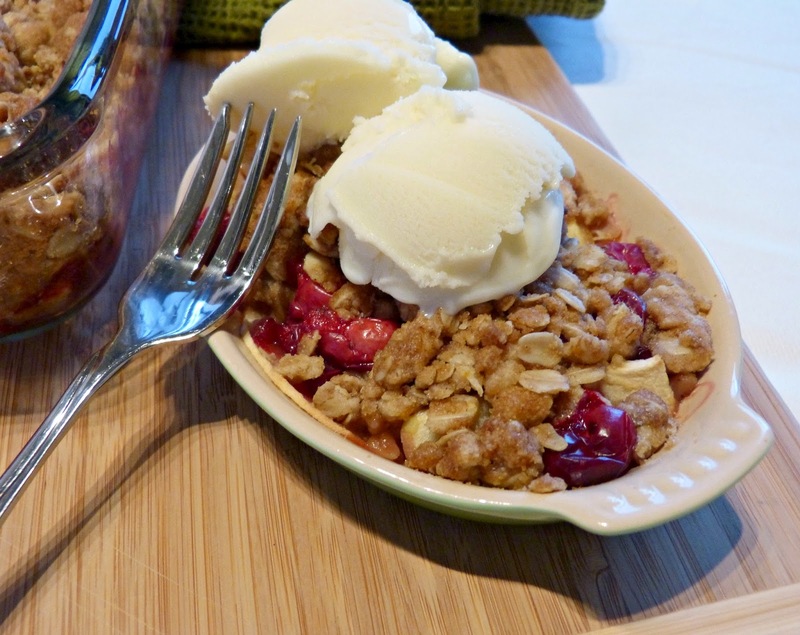 My mom's apple crisp recipe is my go to for anytime that I need a dessert that's easy to put together and delicious enough to please any crowd! 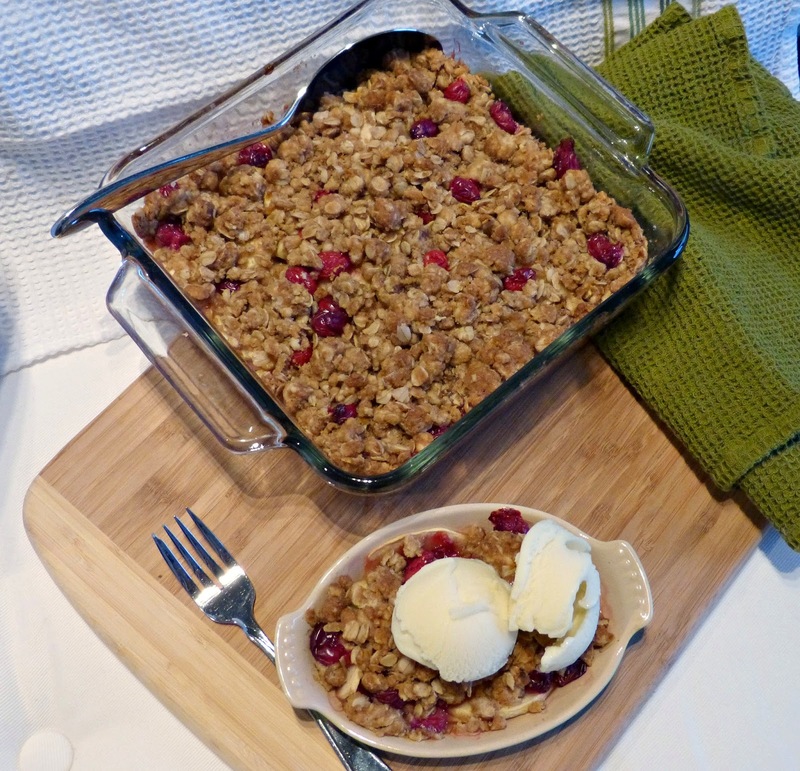 My mom has been making this apple crisp since I was a kid and decades later, I still can't get enough of it. It's a recipe that she always goes back to and it's easy to understand why: It's delicious, it's really easy to make, and it can be easily doubled or tripled to feed a crowd. It's also versatile enough that while really tasty when made with apples, it can be prepared with a variety of different fruits. A buttery crumbly topping is layered over sweet thinly sliced apples and baked until golden. It's simple dessert perfection. Recently my friend Kit invited Alex and me over for a little pre-holiday Friendsgiving dinner and I volunteered to bring a dessert. 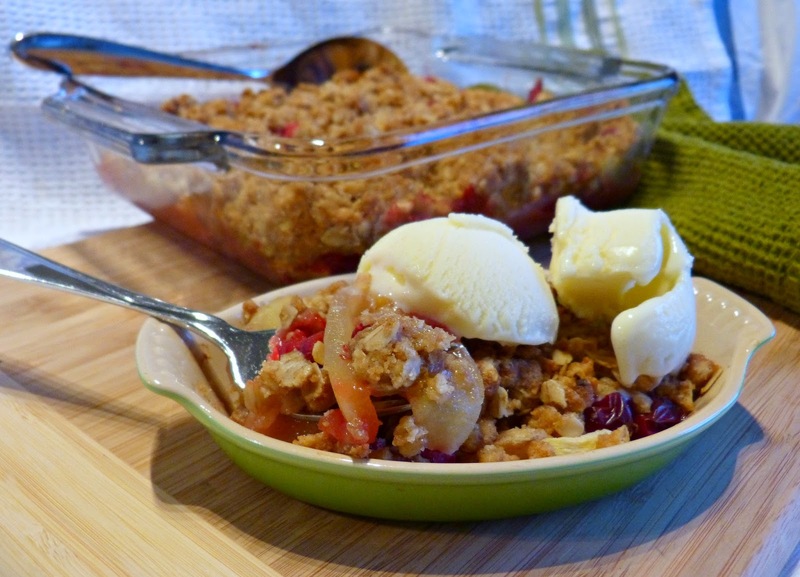 I knew that I wanted to bring this apple crisp along and since Kit was serving a traditional Thanksgiving meal, I decided to put a little festive spin on it. Cranberries are so festive and they're such a quintessential part of holiday meals here in the US that I thought they'd be a perfect addition to this crisp. The cranberries work really nicely in this crisp. The apples are sweet and the cranberries add a nice punch of tart flavor to the crisp-- plus when cooked, the give the fruit a beautiful vibrant pink coloring. I also added a little fresh orange juice to the fruit, which helps it to soften and cook evenly under the crispy topping. Sweet citrusy orange is a classic complement to tart cranberries, so in addition to the juice I squeezed over the fruit I also grated a little fresh orange zest into the crumbly topping for an extra hint of orange flavor. And to punch up that festive flavor a little further I like to add some pumpkin pie spice into the crumb topping too. I would never suggest that you eliminate the pumpkin pie from your Thanksgiving spread. However, when you're serving a crowd I think it is really smart to serve an alternative dessert since-- though it is hard to believe-- not everyone loves pumpkin. This is the perfect dessert to serve up next to your pie. 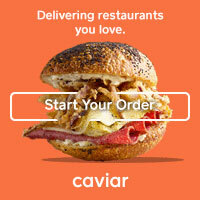 It's a cinch to put together and can be made a day or two ahead of time. And the flavors are seasonal and festive enough that it will fit right in on your dessert spread. 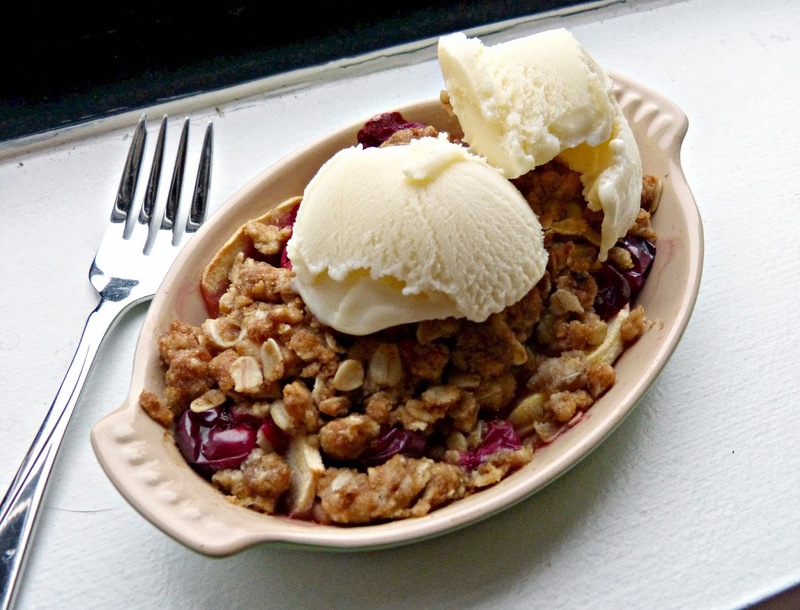 Serve the crisp warm with whipped cream or vanilla ice cream or frozen yogurt and enjoy! Carefully peel and core each apple. Cut into 1/4-inch slices and layer evenly in a square baking dish. Sprinkle cranberries over the top and drizzle with orange juice. In a medium bowl combine butter, brown sugar, flour, oats, cinnamon, pumpkin pie spice, and zest until combined and crumbly. 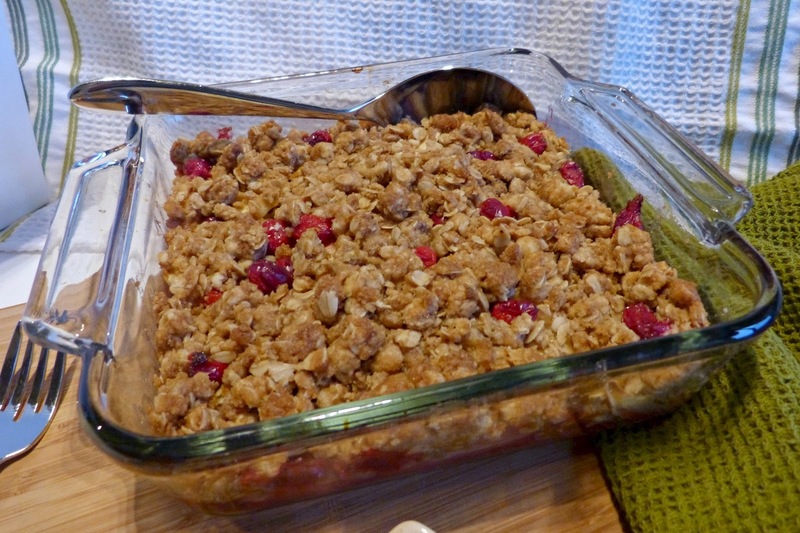 Sprinkle over the top of the apple and cranberry mixture. Me too! Such a classic fall flavor combo.